Several pre-conference, post-conference, lunch hour and evening tours are being offered during the Rhizosphere 5 conference. Information on pre-conference tours will be added to the website in October 2018 (i.e., as soon as all details are confirmed). This ancient gathering place once echoed with the sound of thundering bison and the voices of Northern Plains indigenous peoples. A place to hunt, forage for food and herbs, and to shelter from the weather — this sacred space has welcomed visitors for over 6,000 years. This national heritage site, archeological dig, and interpretive centre offer profound insights into Northern Plains indigenous culture, one unique experience at a time. 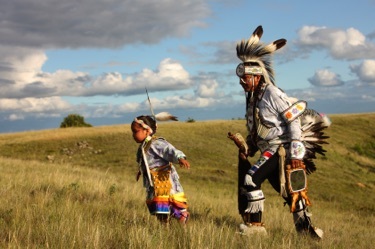 Come visit the longest running archaeological dig in Canada or the most northerly medicine wheel in the world and discover for yourself why Wanuskewin has been named to the Parks Canada tentative list for UNESCO World Heritage designation. Activities during the tour vary throughout the week, but include one or more of the following: teepee raising, hoop dancers, fancy feather dancers, and/or beading demonstrations. 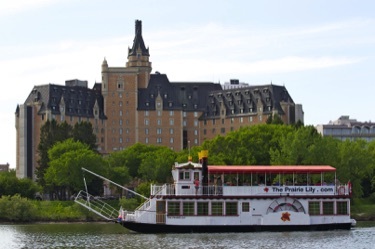 The riverboat travels under four of Saskatoon's nine bridges, past the downtown core with its elegant landscaped parks, natural areas, and some of the city's most opulent residences. This beautiful river valley is enjoyed by all, from canoes and kayaks to rowing skiffs, and water skiers and is recognized as one of the finest and best kept in the world. It is not unusual to see beaver along the river's edge. Tucked away from the bustle of Saskatoon is a small haven, just shy of the banks of the South Saskatchewan River. Black Fox is a unique farming operation that combines traditional methods of farming with modern technology to utilize the land as efficiently as possible. 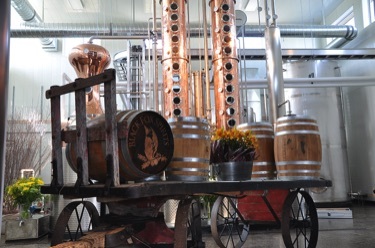 90% of the ingredients for producing their award winning Black Fox Gin, Black Fox Vodka and Black Fox Liqueur are grown on farm. Acres of U-pick flowers are grown on site and should be in bloom for our visit. Fort Carlton was an important hub for the Hudson's Bay Company (HBC) from 1810–1885. Located on the North Saskatchewan River and with easy access by land, this site was an ideal place to warehouse goods and gather provisions for other posts. An important negotiation site for Treaty Six in 1876, Fort Carlton was accidently burned down during a hasty evacuation that took place during the Northwest Resistance of 1885. 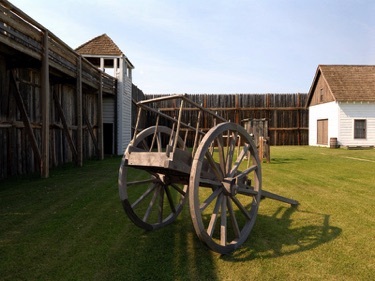 Today, this park features a reconstructed palisade, fur and provisions store, trade store, clerks quarters and tepee encampment. Visitors can see, touch and smell artifacts such as bison hides, beaver pelts and more. 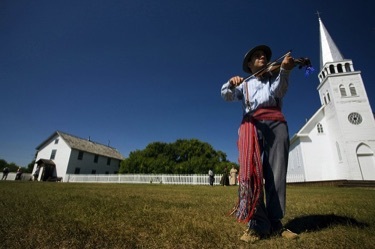 Batoche was the site of the historic Battle of Batoche during the Northwest Rebellion of 1885. Journey back in time to talk with a 19th century Métis settler about life on the banks of the South Saskatchewan River. Imagine the shocking changes as the troops and warriors gathered and battle began to rage. Witness the bullet holes at the final battlefield of the Northwest Resistance of 1885 and learn more about how a traditional way of life changed forever as a new country began to form. Join us for an informative introduction to the University of Saskatchewan campus through our walking tour, and explore over 100 years of growth and innovation. Your interpreter will highlight the university's history, important achievements, and unique architecture by focusing on the buildings around “The Bowl.” Participants will grasp the historical and cultural impact of the architectural styles on the local community, while engaging in an experiential and land-based learning opportunity. 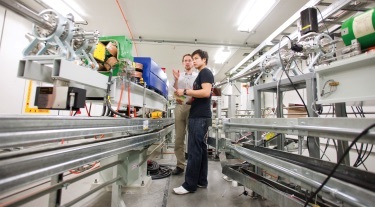 Located on the University of Saskatchewan campus, the CLS is the only Synchrotron in Canada. The Canadian Light Source Synchrotron (CLS) is comprised of several components including an Electron Gun, Linear Accelerator, Booster Ring, and Storage Ring. Each of these sections contribute to producing a beam of synchrotron light, which is then harnessed in a beamline. There are 23 operating beamlines at the CLS. The province's first cyclotron and radioisotope facility. Operated by the Fedoruk Centre, the SCCS is focused on innovations in radioisotope production, the synthesis of molecular imaging agents, the development of imaging technology, and the production of radiopharmaceuticals for clinical use. 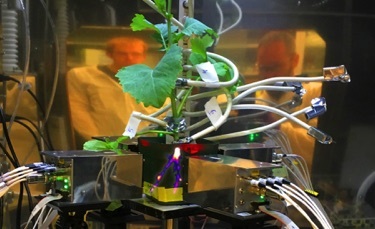 Academic and commercial research enabled by the facility includes the application of functional molecular imaging to the detection and treatment of diseases in humans, animals and plants; optimizing crop productivity to enhance food security; and biological imaging.